Nike 8175 is a Full Rim, Full Rim, Full Rim frame for Men, Men and Men, which is made of Metal. The Nike 8175 Eyeglasses feature the following logo: Nike "swoosh" on temple. Nike 8175 Eyeglasses come with a cleaning cloth and protective carrying case. 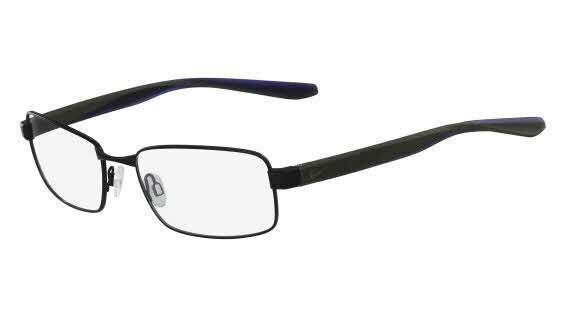 This is my first pair of prescription glasses ordered online. They are comfortable, lightweight and fit great. The lenses are perfect. It took over 3 weeks to receive my order. However, Jessicab was very friendly and helpful with the whole transaction. I really enjoy and best item on glasses I bought online. Very satisfied with this product.